The world is full of beautiful, natural scenery and a never-ending supply of lakes to spend some peaceful time. Ireland happens to be filled with famous and gorgeous lakes, or Loughs as they are referred to in the Gaelic dialect. Ireland is famous for its greenery and there is plenty of lush greenery surrounding these lakes that happen to be picturesque settings for anything from photography to flat out relaxing. 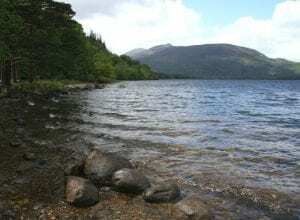 Below we have a list of the 10 Most Awesome Lakes to Visit in Ireland incase you were thinking of taking a trip anytime soon. This picturesque lake is part of the Shannon River Basin in Ireland and happens to be the third largest lake on the Isle of Ireland. Portumna, Killaloe & Ballina, Dromineer, Terryglass, Mountshannon and Garrykennedy are some of the towns and villages near the lake just to give you an idea of the general location. The max depth of Lough Derg is approximately 118 feet perfect for adventurous divers. Lough Leane is one of the three Lakes of Killarney and happens to be the largest of the three. It is approximately 197 feet deep. While pollution had been a problem in early years, the lake is becoming healthy thanks to the removal of harmful phosphates. In many cases you wouldn’t be able to tell that it was even an issue. That being said, Lough Leane is simply there to be admired as last August The Irish Times reported toxic algae in the water. Nonetheless, the lake still remains a scenic wonder. You would be getting a two for one deal if you decided to visit Lough Erne as it’s actually two lakes in one. The lake has a max depth of 200 feet and features an endless supply of options for photographers looking to capture its beauty. 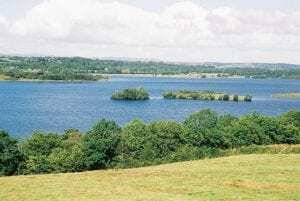 Lough Erne is located in the Fermanagh district in Northern Ireland. Lough Neagh is a special lake in Northern Ireland that happens to be the biggest freshwater lake in the British Islands. 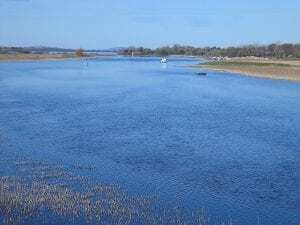 Unlike the loughs mentioned thus far, Lough Neagh is just over 80 feet in depth making it a fairly shallow body of water. The lake is also a perfect spot for eel fishing and birdwatching and features a wide array of islands and peninsulas such as Coney Island, no not the one in Brooklyn. 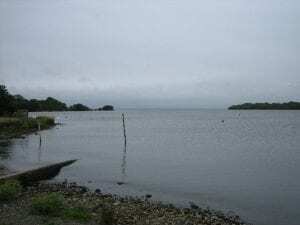 Lough Ree is another beautiful lake that is part of the Shannon River Basin. 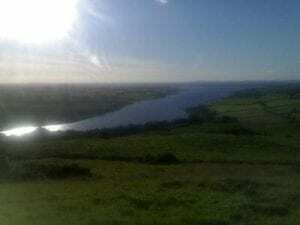 It is the second largest lake in the River next to the aforementioned Lough Derg. 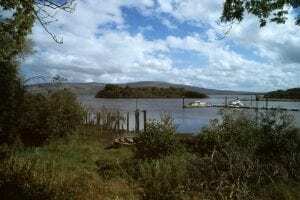 It is seen as a pretty popular destination for fisherman especially with it’s population of eel. Just off the northern shore of Lough Ree is the remains of some ancient churches erected in the early Christian era. Lough Derravaragh is a pretty shallow lake with a max depth of 66 feet. Like a couple of the aforementioned lakes, Derravaragh is a great destination for water sports. There is a vast supply of lush greenery that accompanies the lake making it a pretty ideal spot for a relaxing day. The Muckross Lake is another of the three Lakes of Killarney and happens to be around 250 feet deep. It’s also home to a legendary monster for those thrill seekers who believe that there are more than just fish swimming around the depths of these lakes. The third of the Lakes of Killarney is the Upper Lake. Lough Allen happens to be another one of the lakes in the River Shannon and is located in Connacht, Ireland. The lake is 102 feet deep however there are some occasional dry periods. It’s another beautiful lake that would be perfect for taking a small boat out. 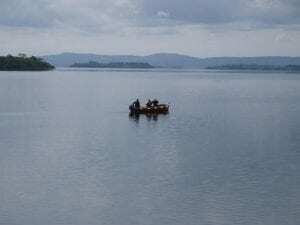 Lough Cullin is connected to the Atlantic Ocean and happens to be another one of the famous fishing destinations in Ireland. Salmon and trout are two of the major species of fish in this lake. 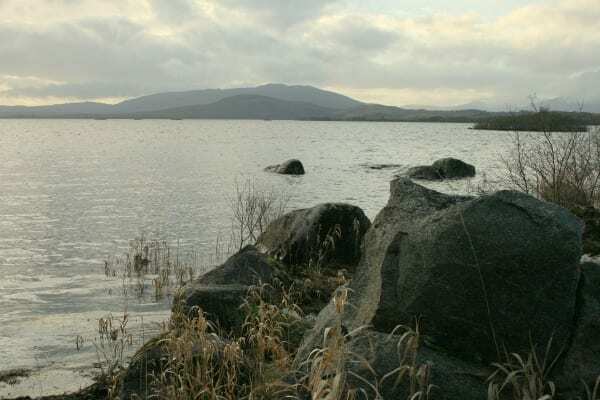 Not only is Lough Cullin perfect for fishing but it’s scenic beauty also lends itself well to inspiration whether you’re an artist or photographer. Lough Corrib is one of the most famous lakes in Ireland because it was the subject of a book written by Oscar Wilde’s father William. It is home to a wider array of wildlife including otters and minks. 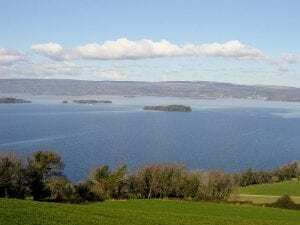 Lough Corrib is approximately 157 feet deep and is surrounded by beautiful mountainsides.